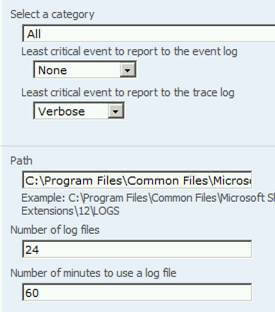 SharePoint logs information to the Windows Event log and a file on the local drive which is normally located in the hive (C:\Program Files\Common Files\Microsoft Shared\web server extensions\12\Logs). The log files on disk (trace logs) can be very hard to read using notepad or other basic programs. 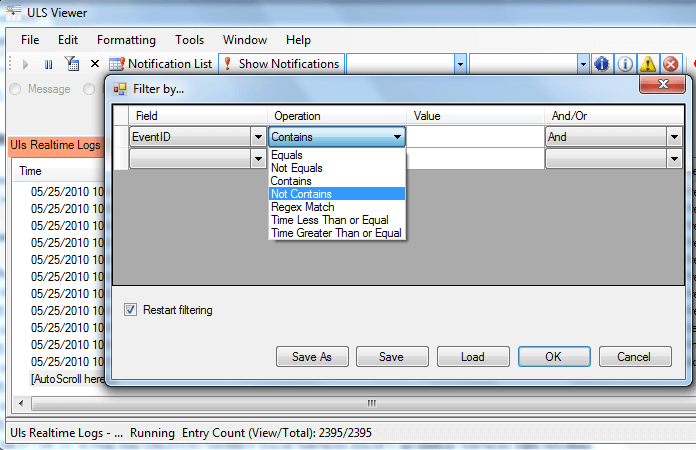 05/25/2010 06:57:39.31 w3wp.exe (0x1018) 0x0BE4 Excel Services Excel Calculation Services 8jg2 Medium ResourceManager.PerformCleanup: Memory Manager: CurrentSize=104521728. 05/25/2010 06:57:40.34 VMwareService.exe (0x07CC) 0x07F0 SharePoint Portal Server SSO 0 Medium MSSCNTRS: In Collect(). Query=''. 05/25/2010 06:57:40.34 VMwareService.exe (0x07CC) 0x07F0 SharePoint Portal Server SSO 0 High MSSCNTRS: Cannot get perf statistics on library SSO. To solve this problem I recommend you check out this great tool from Microsoft, ULSViewer. 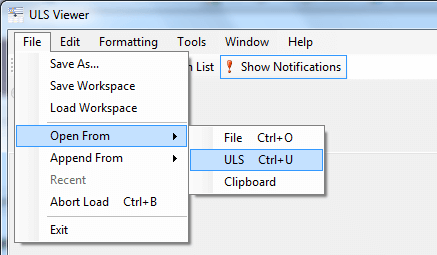 "ULSViewer allows users to open a ULS log file and display its contents in a user friendly format. Users can then perform advanced functions such as filtering, sorting, highlighting, loading logs, appending logs, etc in order to single out the data that is important to the user. This information can be used to diagnose problems with machines running ULS services, or to monitor machines and the events they create in realtime." The trace logs are often referred to ULS logs, Unified Logging Service. Microsoft ULSViewer filter options - get creative! Please make sure you read the documentation and the warning from Microsoft stating the tool is unsupported.